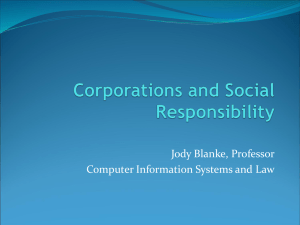 Corporate social responsibility (CSR, also called corporate conscience, corporate citizenship or responsible business) is a form of corporate self-regulation integrated into a business model. 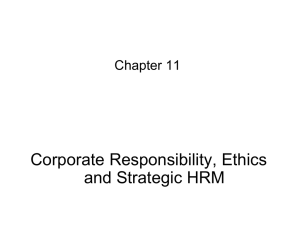 CSR policy functions as a self-regulatory mechanism whereby a business monitors and ensures its active compliance with the spirit of the law, ethical standards and national or international norms. 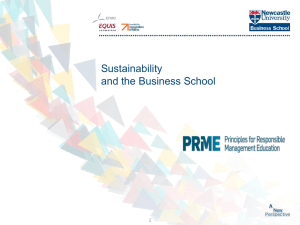 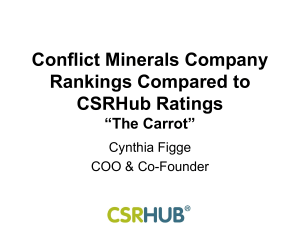 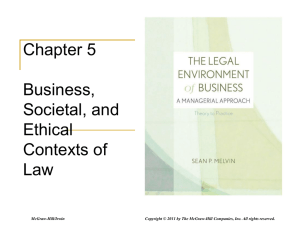 With some models, a firm's implementation of CSR goes beyond compliance and engages in ""actions that appear to further some social good, beyond the interests of the firm and that which is required by law."" 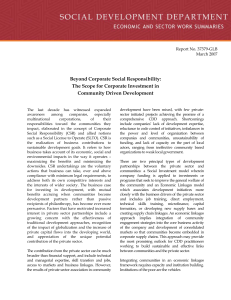 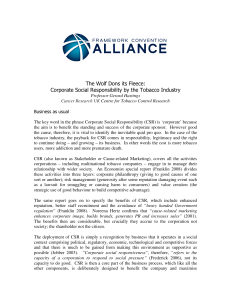 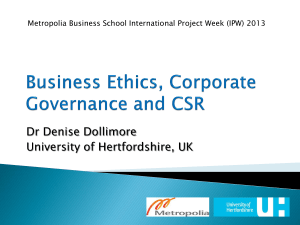 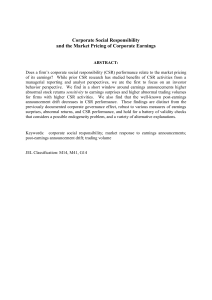 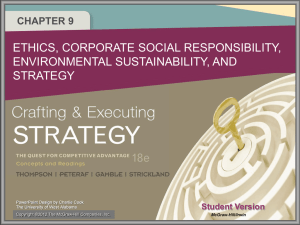 CSR aims to embrace responsibility for corporate actions and to encourage a positive impact on the environment and stakeholders including consumers, employees, investors, communities, and others.The term ""corporate social responsibility"" became popular in the 1960s and has remained a term used indiscriminately by many to cover legal and moral responsibility more narrowly construed.Proponents argue that corporations increase long term profits by operating with a CSR perspective, while critics argue that CSR distracts from business' economic role. 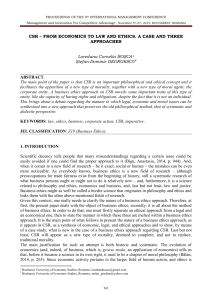 A 2000 study compared existing econometric studies of the relationship between social and financial performance, concluding that the contradictory results of previous studies reporting positive, negative, and neutral financial impact, were due to flawed empirical analysis and claimed when the study is properly specified, CSR has a neutral impact on financial outcomes.Critics questioned the ""lofty"" and sometimes ""unrealistic expectations"" in CSR. 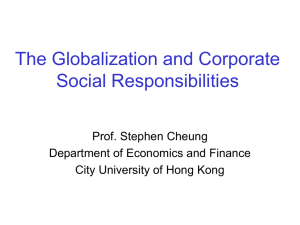 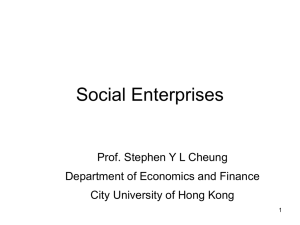 or that CSR is merely window-dressing, or an attempt to pre-empt the role of governments as a watchdog over powerful multinational corporations.Political sociologists became interested in CSR in the context of theories of globalization, neoliberalism and late capitalism. 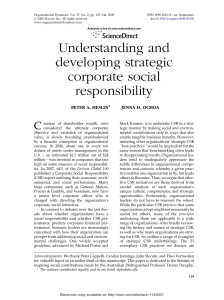 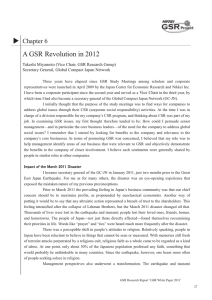 Some sociologists viewed CSR as a form of capitalist legitimacy and in particular point out that what began as a social movement against uninhibited corporate power was transformed by corporations into a 'business model' and a 'risk management' device, often with questionable results.CSR is titled to aid an organization's mission as well as a guide to what the company stands for to its consumers. 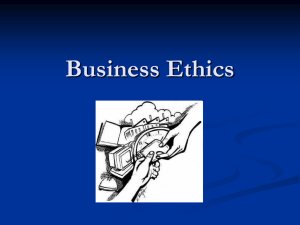 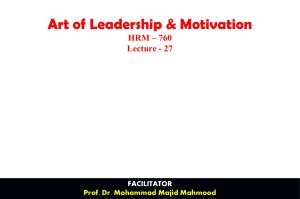 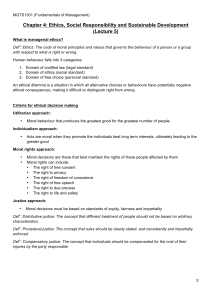 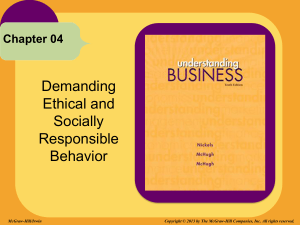 Business ethics is the part of applied ethics that examines ethical principles and moral or ethical problems that can arise in a business environment. 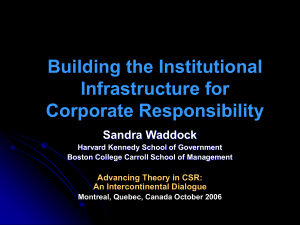 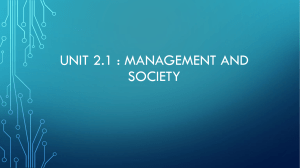 ISO 26000 is the recognized international standard for CSR. 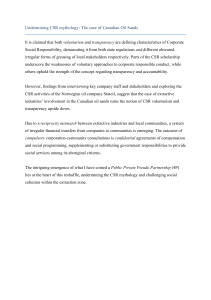 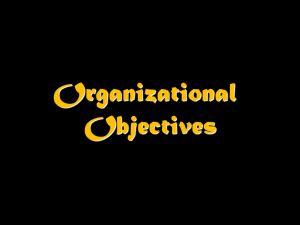 Public sector organizations (the United Nations for example) adhere to the triple bottom line (TBL). 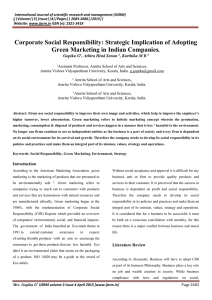 It is widely accepted that CSR adheres to similar principles, but with no formal act of legislation.